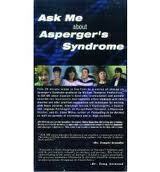 In this 24-minute video, various professionals and parents of elementary and junior high students, as well as Dr. Liane Willey, author of Pretending to Be Normal, describe the challenges that typically affect students with Asperger’s Syndrome and offer practical suggestions and techniques for working more effectively with these individuals. ASK ME is an acronym for Accepting, Structured, Kind & Supportive, Motivating, and Enriching — the key elements in providing an appropriate educational environment for students diagnosed with Asperger Syndrome. This entry was posted in Adolescent/Transition Issues, Our Library and tagged adolescent, ASD awareness, Autism Spectrum Disorder, DVD. Bookmark the permalink.